John Oates live, up close, and without a net, Another Good Road, will debut as a TV special on high-definition music channel Palladia, Saturday, January 24, 2015 at 9 PM, and will be released as a DVD with bonus, live CD (PS Records /Warner Elektra) on January 20, 2015. Born from Oates’ dedication to American roots music, the captivating special traces the various roads he’s followed in his life, both literally and figuratively. Led by director Sean Hagwell, the docu-concert transports the viewer into the singer/songwriter’s private universe – exploring his two worlds in Woody Creek, Colorado and Music City. Shot live with no retakes or pick ups in a funky Nashville recording studio, Oates and the band’s chemistry is entrancing from the outset, presenting a clinic in both the mystery and mastery of classic American musical forms. This is real music, made by real musicians, in real time. Oates shines alternating between acoustic and electric guitars, his early influences of Doc Watson and Mississippi John Hurt clearly apparent. His expressive voice still delivers the soulfulness that made him a household name, yet it’s now tinged with a sweetly honeyed patina that, with lilting and emotional precision, continually evokes the late soul legend, Curtis Mayfield. Oates is not just embracing the music that inspired him, but also nurturing it, developing it, and honing it with a modern and relevant edge. 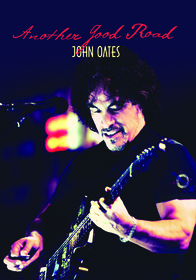 Another Good Road is the next stop on a musical journey John Oates started more than 50 years ago; a compelling sonic and visual marker along his ever-expanding highway.